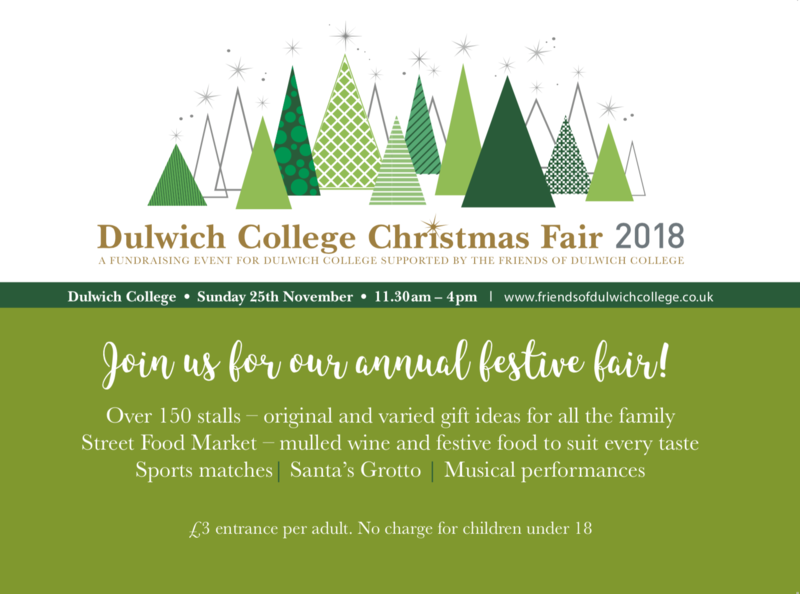 Friends of Dulwich College | Dulwich College Christmas Fair. Be inspired! 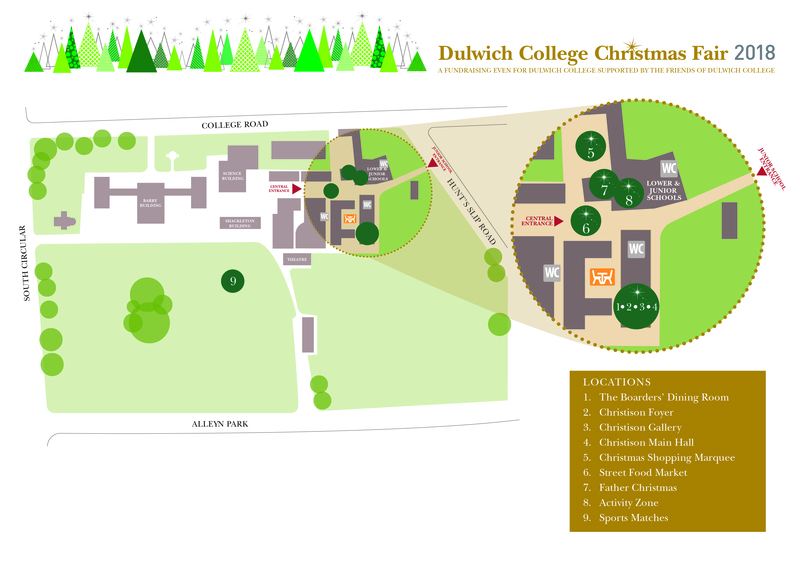 Thank you for supporting the Dulwich College Christmas Fair. We look forward to welcoming you. It promises to once again be a wonderful experience. Due to the extensive building work within the College’s iconic Barry Buildings, you will experience a new look Fair, with an exciting new layout, an extended Christmas Shopping Marquee and a vast array of stalls located in the Christison Hall, a fine example of Mid-Century architecture. There is certain to be something for everyone to get you ready for the holiday season. It will be a very festive and jolly affair. Why not enjoy a glass of mulled wine whilst indulging in some pre-Christmas retail therapy, browsing the amazing stalls and delicious food on sale to keep you energised for all the shopping and fun. Santa will be warmly housed in his grotto and The Music Department will be entertaining us all with some festive favourites. The website will provide you with lots of information, including a full listing of our stall holders, searchable by name, category and location, opening times, our site map, local parking, payment options and entrance fees. Cosy, festive atmosphere, within the Christmas Shopping Marquee, Main Hall & outside stalls. Gifts galore. Click here to see a list of our stalls. Wander around the large selection of caterers, offering something for everyone. Enjoy a mulled wine to add to the festive experience. Click here to see a list of our stalls. Stagecoach will be performing on the stage within the Street Food Market at 3.15pm. Guaranteed to bring the Fair to a fabulous close. The little ones will enjoy seeing Santa in his Grotto. He’ll be waiting to make their day (see zone, TBC on the map below). Come along to the Junior School Hall to enjoy the boys’ stalls. Lots of Christmas cheer and fun to be had. At 1pm and 2pm there will be much anticipation, as the sports teams prepare to entertain you. Come and cheer on the teams.